I don't know about where you're at, but it seems like Winter is definitely trying to stick around these parts...giving MaMa the perfect opportunity to try out her friend Patience's Multigrain Chicken Soup recipe. Wow! 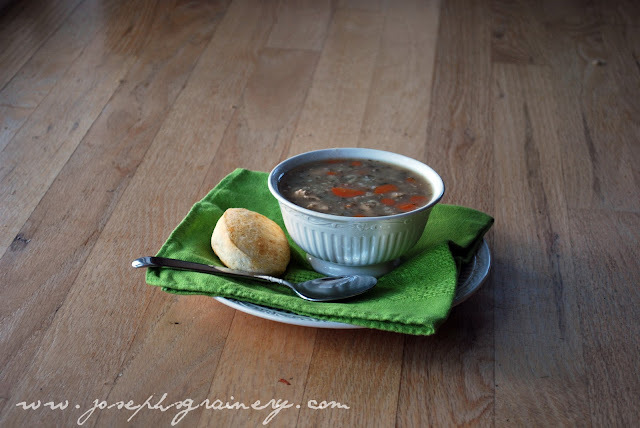 This is another Lil' Joe approved, kid friendly soup. MaMa says it would be wonderful when someone's sick and needs a little homemade chicken soup. It's good stuff! 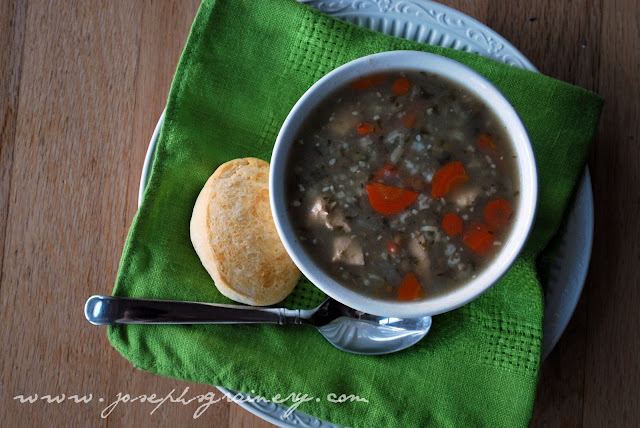 Multigrain Chicken Soup with barley, rice & lentils. A hearty soup your whole family will love. 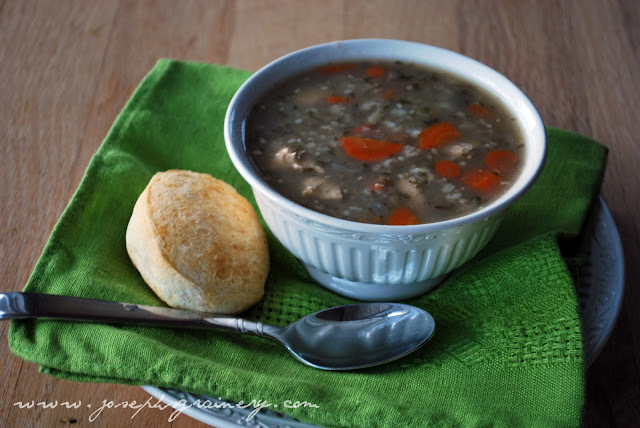 Thanks again to MaMa's friend Patience for sharing this wonderful Multigrain Chicken Soup recipe!